Spring is in the air, all sorts of flowers and plants are blooming in gardens and parks. To celebrate the first glorious days of spring, we have compiled a beautiful spring-theme selection with 14 joyful and free vector illustrations: fresh spring graphics, cool patterns, colorful nature clip art and joyful backgrounds. 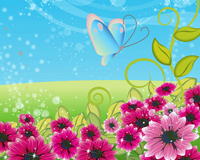 Download spring vector collection for free in Illustrator AI and EPS vector art format. 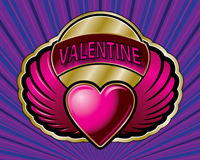 Free vector collection of Valentine's Day themed graphics, illustrations and clip art including roses, couples, hearts and romantic patterns. Come up with something original this Valentine and surprise your sweetheart, friends and family with personalized vector messages. Get your creative juices flowing with this selection of 11 cool love graphics. 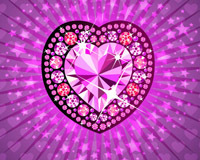 Download happy Valentine's vector graphics and lovely heart images for free, easy to use for your print and website projects. 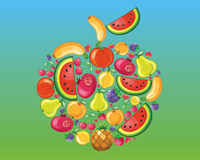 It’s no secret that fresh fruit is good for you, and so is free vector art. This delicious vector collection is a creative way to visually experience the great taste of your favorite fruits. Download appetizing fruit vector illustrations for free: apple, orange, lemon, strawberry, pear, grapes, cherry, berries, pineapple, banana, watermelon, mango, kiwi and other exotic fruit vectors. If you need high-quality fruit vectors for your design projects, you’ve landed in the right spot. Enjoy! Valentine's Day is celebrated in countries all around the world with a romantic dinner, flowers, gifts and original love cards. Traditions and customs may vary in different regions, but the celebration of tender feelings, romance and passion by lovers remains the same everywhere. 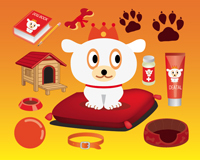 Valentine is the perfect day to spoil your sweetheart with an original and exclusive vector artwork. 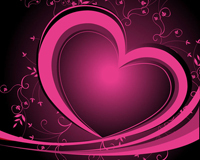 To help you started, we selected 10 romantic vector graphics, free to download. 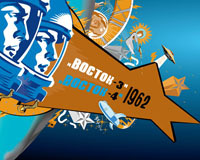 Free space vectors and astronaut graphics pack with 7 vector artworks inspired by the Space Race, space mission, rockets, astronomy, geospatial imagery, space flights, scientific research and exploration of the cosmos. Outer space is a cool place, so feel free to explore creative ideas for creating memorable space graphics that can be easily personalized to fit your graphic style and design needs.